Earlier this morning, three cannon volleys reverberated across the city where the American Catholic experiment first came to life. The shots took their origin from Fort McHenry, where the sight of “the rockets red glare, the bombs bursting in air” inspired Francis Scott Key to write what would become the National Anthem. 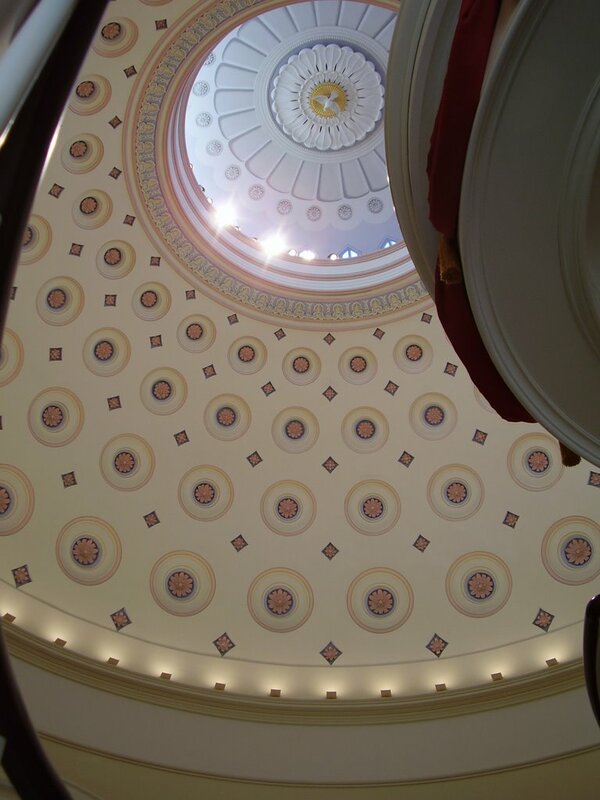 They were fired in tribute to the place that, if the fort fell, was to serve as Baltimore’s "last stand" against the British: the city’s emerging cathedral, still nine years away from opening as the War of 1812 raged. Just like the flock it has nourished, the resurrection of US Catholicism’s mother church signals its return to the vanguard after an era of darkness and decay -- a trajectory which shouldn't be Baltimore's alone. 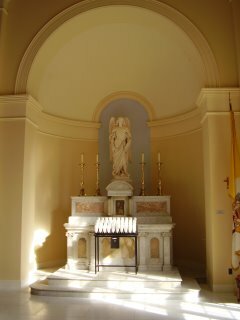 The Basilica of the Assumption heralded a moment of arrival for the church in America at its inception in 1806 and its opening in 1821, and as it reopens after a two-year, $34 million restoration, it becomes yet again the symbol of the highest ideals of its people – and a firm rebuttal to the belief that the adjectives “American” and “Catholic” cannot faithfully and genuinely coexist. From its very beginning, the church in the American colonies was a community of the frontier. 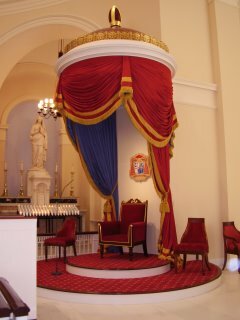 For its faithful, triumph was experienced not in the expense of raising great edifices, but in the simple gift of free worship, often clandestine but always served by heroic clergy for whom doing the work of the evangelist meant ministry of a grade both selfless and punishing, the fruits of which remain immutably evident. Though burgeoning, colonial Catholicism was unable and unwilling to rest on its accomplishments. It may have boasted no institutional strength, but what it lacked in muscle, it was able to exert in its savvy, commitment and sheer brainpower. In the face of a suspicious Anglican elite, its leaders won influence and favor the old fashioned way – they earned it, and wielded their clout not in a way that would quickly expend goodwill, but would further enhance it through cooperation, mutual respect and an irreproachable concern for the good of souls Catholic and non, offering the inherited wisdom of the church’s teachings at the service, as opposed to the dominance, of the public exchange. At the dawn of the pluralist republic, it was the optimal way John Carroll’s flock could contribute productively and effectively to the public debate. Carroll may be long gone, but the lesson remains the same. In planning his cathedral, America’s first bishop decided to be bold, hiring the nation’s most-prominent native architect and choosing as its site a hilltop clearly visible from the nearby harbor. 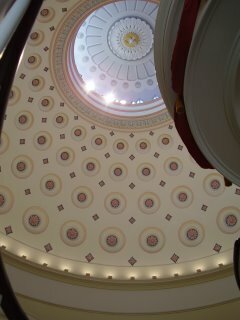 While Benjamin Henry Latrobe also designed the temple of secular governance, the US Capitol, it’s arguable that the plotting of the country’s lone Catholic cathedral was even more daunting as it required a melding of principles: those of a new nation, and of a church as old as the nation was young. The marriage had to be seamless, with compromises required from neither. And their synergy derived from a simple word of great consequence. That it was God’s gift was one of the few things casual deists and militant Catholics could agree on. It was the element that marked and bound both the era’s secular quest for progress in the exaltation of reason, and the timeless, universal Christian journey toward the soul’s ultimate fulfillment. And so, in the church that would serve as the sign of apostolic authority in a democratic society, God and man, Rome and Baltimore, America and Catholicism were fused together in light. To that end, the plan featured clear windows, clean lines, white furnishings, a gleaming floor and lucent walls capped by twenty-four skylights that would suffuse the structure, elevating it with the one flair of brilliance beyond the reach of mortal man. It cannot be underscored enough that the design sought and obtained was one native to these shores, and that’s exactly the way Carroll intended it. 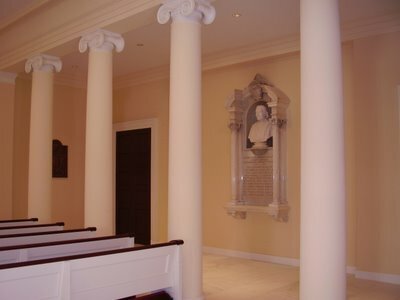 A cousin of a signer of the Declaration of Independence, he knew that if his church was to fulfill its mandate in the context of the American experiment, that it could not exhibit itself, nor act, as if Chartres or St Peter’s had been dropped out of the sky onto the streets of Baltimore. To the continued chagrin of some, the deposit of faith was never a question of campaigns and elections; the manner in which it would be presented, however, was. In a marketplace of ideas that lacked a state church, it had to be. The Pope’s temporal rule over much of Italy may have been the status quo in the early 19th century, but in America, Catholics were, in the words of Carroll’s 13th successor, “a persecuted but devout minority.” To boot, such was the experience of the French Revolution and the church’s persecution for its role in affairs of state that some space between the two realms wasn’t viewed as the worst fate for the church – an experience that resonated even more significantly with the Lyonnaise Sulpician Ambrose Marechal, Carroll’s second successor under whom the cathedral opened its doors. Throughout, like the church and nation for which it stands as a mutual beacon, the restored structure reflects the best of old and new. New sound, lighting and infrastructure systems, structural reinforcements, a new elevator and a wheelchair-access ramp made of brick, to replace a hastily constructed wooden one. 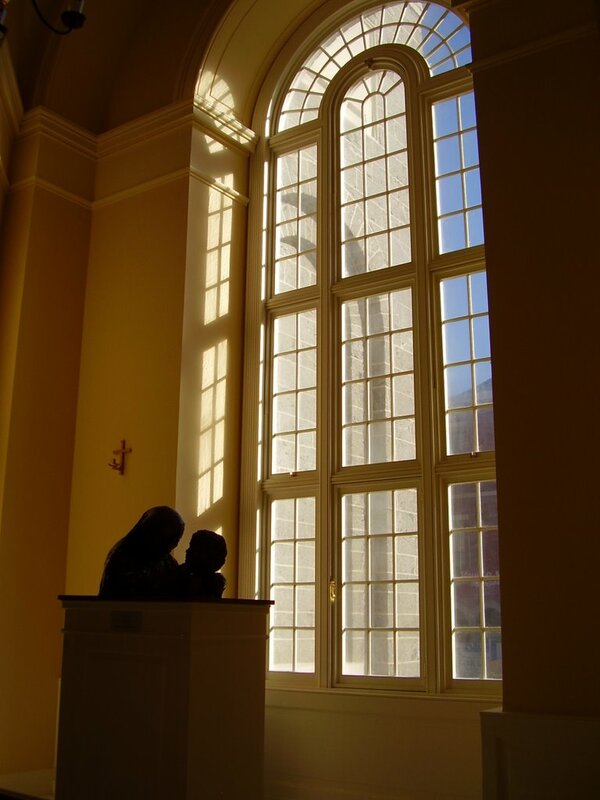 For Baltimore's third cardinal and the 13th successor of John Carroll, the project represents a fitting capstone of an active ministry geared toward light and the bookend of an archiepiscopal tenure that celebrated the traditions of the local church throughout. As a peritus at Vatican II, Fr William Keeler served as one of the daily briefers, filling the English-language press in on the council's activities. That engagement and spirit of openness, combined with an appreciation for the heritage of the church universal and, in a particular way, the patrimony of the premier see, fuelled Cardinal Keeler's commitment to the project of reawakening its crown jewel, which had fallen on hard times and been permitted to creep into grave disrepair. Over time, the principles on which the cathedral was built came to be disregarded, both of architecture and ecclesiology. Conspicuously intended to not be a church of the Dark Ages, successive archbishops of Baltimore went ahead in the attempt to make it look like one. Dark wood, dark marble, excessive decoration and, as the death knell of the light, the addition of stained glass and the shuttering of the skylights. The emblematic tale of the historic cathedral’s decline came in the 1950s, when Archbishop Francis Keough pushed hard for the building of a new Cathedral to fulfill the bequest of a wealthy merchant. 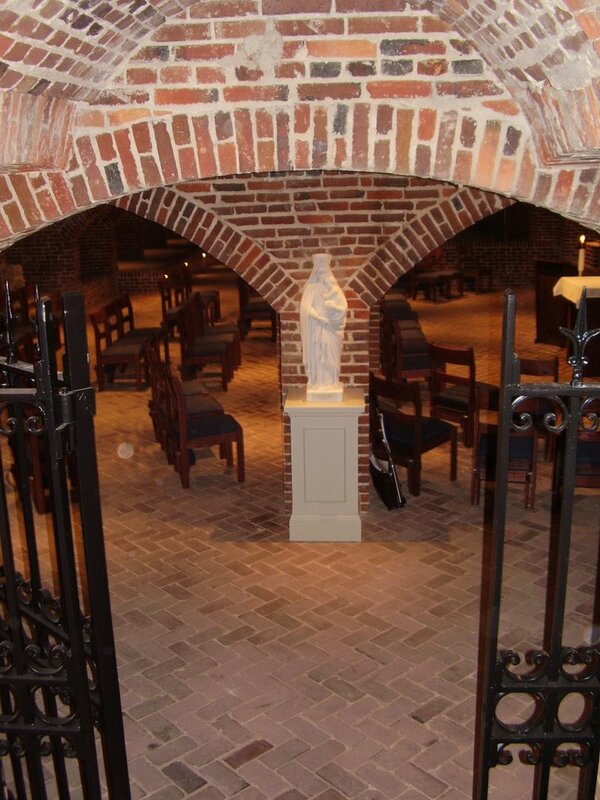 According to legend, Keough moved as he did on the project – which had languished since the 1919 death of the merchant, Thomas O’Neill – so that he could use the principal of the bequest, which couldn’t be touched until the new cathedral was built. A modern Gothic structure that defied and defamed its predecessor’s entire raison d’etre, the Cathedral of Mary Our Queen was dedicated in 1958. Of course, there will be complaints that restoring an old church might divert funds and attention from other projects. However, it must be remembered that everything else the church does finds its source and summit in the Eucharist, in the communal life of prayer the People of God expresses in its public worship. Furthermore, both for the nation and church of the United States, to allow this temple in particular to go uncared for would be a disservice and a disgrace. As both the national moment and the ecclesial moment find themselves devoid of the hope present at their beginnings, the return of one of those symbols of hope has only raised the project’s import. Recalling the parish’s native son, Baltimore’s first cardinal and the nation’s second, Gibbons’ galero hangs upstairs, and a portrait of the iconic churchman stands at the entrance to the sacristy. 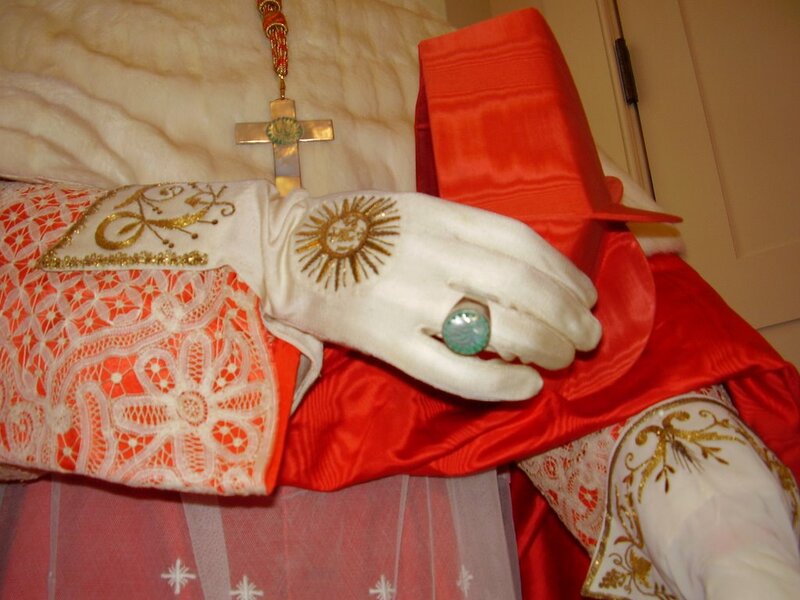 In a new museum in the undercroft, Cardinal Shehan’s cappa magna is on permanent display, and a Mass vestment used by then-Archbishop Gibbons at the Third Plenary Council of 1884. 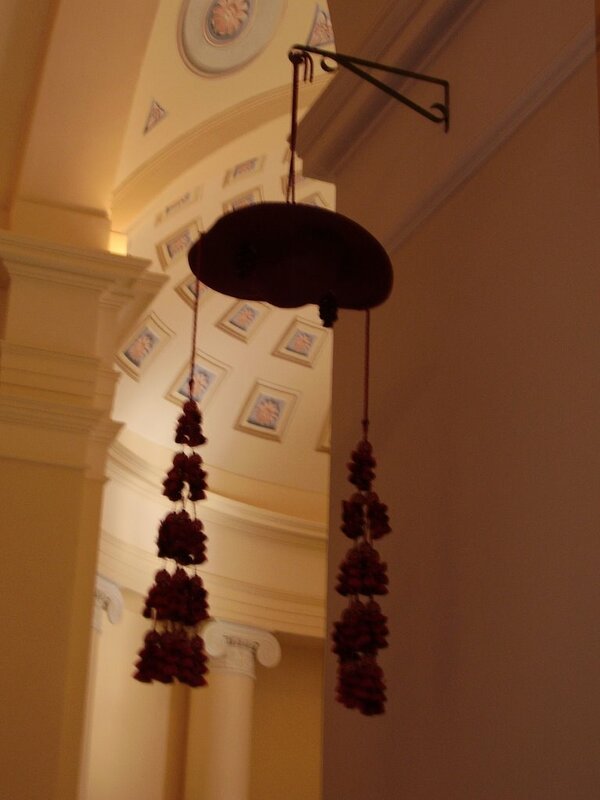 The sanctuary is fronted by twin baldachini – one surmounting the restored pulpit, with its spiral staircase; the other marking the cathedra, which has been restored to its original spot. Found in the undercroft, the original archbishop's throne crafted for Marechal has been returned to use. 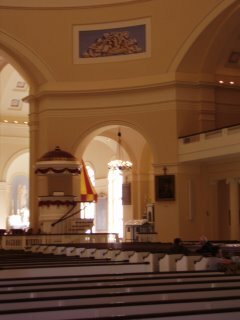 Beyond the altar rail, flanking the main dome are the original two galleries: the North, with the basilica's organ and console; the South, which was used by religious women. The “Sisters’ Gallery” had two levels – while ordinary professed women would occupy its lower pew, the upper pew was reserved for cloistered nuns. When they were in attendance, a curtain would be drawn across an installed pole to maintain their solitude. At the back, above the West Door, there is another gallery with a more evocative reminder from history. 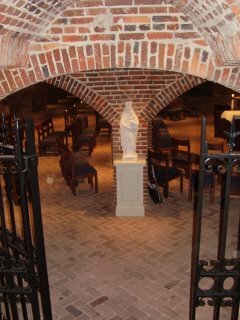 Its backmost balcony was the sole spot permitted for the worship of "free blacks" -- among whom was Mother Mary Elizabeth Lange, founder of the Oblate Sisters of Providence. 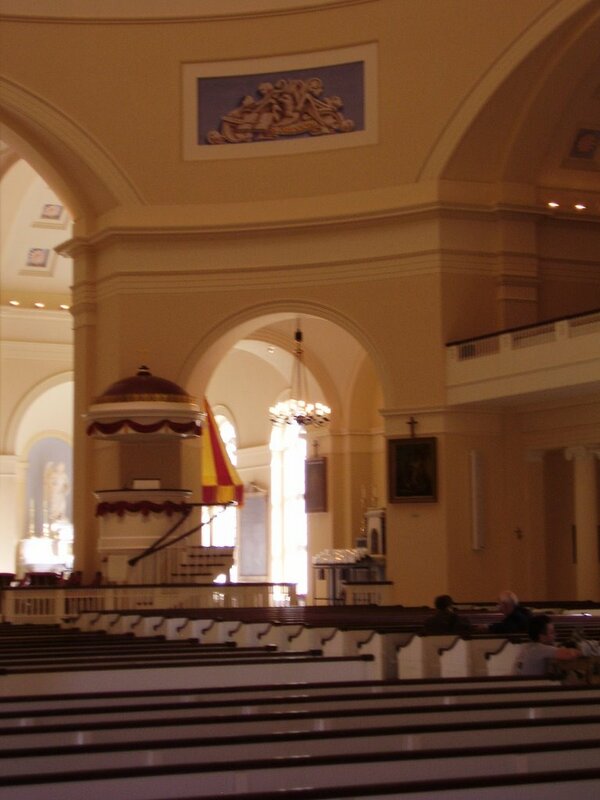 All of it, however, reflects itself toward the rotunda with its great dome and the sanctuary, where a new liturgical altar finally makes for a harmonious integration with the original high altar and reredos; to improve visibility, the sanctuary was raised two feet in the restoration. The moral of the project, however, is not a frivolous one, but represents an exigency of this moment in history. Just as the nation's first cathedral was subjected to mutations and experiments not in keeping with the vision from which it first took shape, so the same could be said of the church and the society in which its people are to exist as leaven. Too often, its windows have been darkened, its simple treasures obscured, its purity sacrificed not for a long-term enhancement, but a short-term flair that, more often than not, becomes detrimental under the lens of time. The sum of these have borne their consequences and shown their impact for what it is. Those who came before us, whose works speak in great deeds with few words, invested strong hearts and strong hands to the end of building the church not for their time, but that it may stand for the ages, stronger, purer, brighter and better at the end of their days than it was when they found it. And so, after five years of pilgrimage through the darkest of nights, may their heroic courage and long-seeing vision be a light and a guide for us. We owe them nothing less. On this feast of St Charles Borromeo, who rebuilt the church of Milan by investing in its culture and proclaiming the resonance of its truths, the light of America's first cathedral is restored, literally and culturally, suffusing the church in this land anew with its glow and with its promise. But just as the Assumption's construction signaled a beginning, so the message today from our premier see stands as a call, as a beacon for those who've inherited the fruits of faith sown by our forebears, to take on the mission of restoring the light. The task is daunting. Seeking to resist it is easy, not to mention understandable, given its scale. But as our predecessors were called to build, and what they built has served us well, so are we charged with the duty of maintaining it, paring down the excesses of time and turning back its ravages to return it to the strength and purity of its beginnings. In a technological age, this isn't just a question of physical structures -- if anything, the temporalities are the last of the concerns -- but the continual restoration by our lives and in our work the accolade which was the beacon of the early church, both in Jerusalem and America: "See how they love each other." As the light returns to the nation's mother church, so may it resonate beyond its walls, that its rediscovered purity and brilliance stand not only as the defining marks of its structure, but of the gathering of souls for whose care it was built.